Grapeseed oil doesn’t get as much love as it should because it is not a trendy as jojoba, coconut, olive, Argan, or even castor oil. However, it is one of the most lightweight oils available. Its ability to condition and seal moisture into the hair is top-notch. 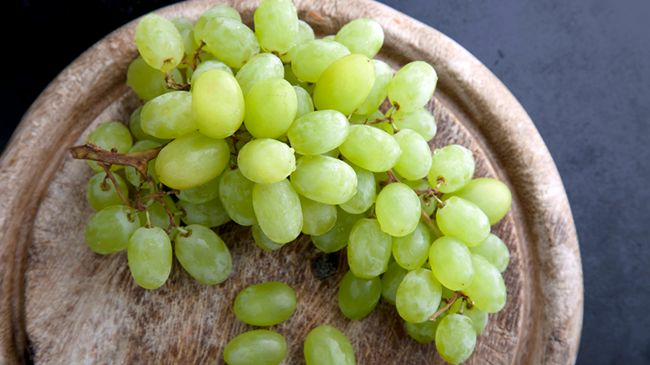 Also, grapeseed oil is non-greasy and absorbs easily into the hair, skin and scalp. In cold seasons, grapeseed oil is a great alternative to coconut oil, which can solidify and leave little lumps on the hair due to cooler temperatures (ew, no one wants that). It has no odor so you won’t have to worry about layering on perfume to cover it. 2. It is light, so it won’t leave your hair feeling weighed down. This makes this oil great for people with thin hair that is easily weighed down or people who like to layer on many different products. 3. It has antiseptic properties and is a mild astringent which are both help keep the scalp healthy and fight dandruff. Hot oil treatments with grapeseed oil leave hair shiny and fight scalp dryness. 4. It costs less than most other commonly used oils, such as coconut and argan. 5. It contains Vitamin E, a natural antioxidant that helps to heal and build tissues. Vitamin E reduces inflammation, heals the scalp, and promotes healthy hair follicles which, in turn results in healthy hair growth. 6. It is hypoallergenic, which makes it a perfect choice for everyone, including curlies with sensitive scalps. Now that you know how fabulous grapeseed oil is, here are some of our favorite products that include this liquid gold in their ingredients. This conditioner is packed with nourishing oils, including grapeseed oil, that locks moisture into strands after use. In addition to being oil rich, this conditioner also contains vegetable shea butter which smooths the strand. This lightweight leave-in conditioner is formulated to moisturize hair and define your curls. It contains two humectants, vegetable glycerine, and panthenol-all of which are sure to provide your hair with moisture for days. Panthenol is also an emollient and moisturiser so your hair will be soft and manageable. Formulated to breathe life back into damaged hair, this shampoo contains Vitamin E, an antioxidant that helps heal the scalp, reduce inflammation and promote healthy hair growth. Grapeseed oil is the first ingredient in this styling balm. This means that this is the largest ingredient. It also contains MSM, which is widely said to speed hair growth. This product may be used as a rinse out or leave-in conditioner. This makes it a great product to have in your arsenal. Rice bran oil is a key ingredient in this conditioner. This oil is packed with antioxidants and has anti-aging properties among many other benefits for your hair. Mix 2 4-6 tbsp grapeseed oil and 2 tbsp lavender or rosemary essential oils. Gently massage the solution into scalp in circular motion. Wrap head in a warm towel for 30 minutes before shampooing and styling as usual. Choose wisely: Rosemary essential oil will balance the scalp, promote hair growth, and kill bacteria. Lavender essential oil has anti-inflammatory properties and also fights dandruff while alleviating stress. With a new year approaching fast, now is a great time to look at your hair goals, where you are now and where you’d like to be in the future. Perhaps adding grapeseed oil can help make that hair future a reality.